The first pilot projects under the new initiative for investment in EU rural areas, outlined at last month's high-level second annual EAFRD fi-compass Conference on financial instruments, are encouraged to get started before the end of the year as talks with the first interested Member State are advancing. Announced on November 25th by European Commissioner Phil Hogan and the European Investment Bank (EIB) Group, in the presence of the European Commission's Vice-President Katainen, the new initiative aiming to combine EU budget amounts from the European Agricultural Fund for Rural Development (EAFRD) and the European Fund for Strategic Investment (EFSI), the core of the Juncker Commission's Investment Plan for Europe, is now under preparation. A collection of 13 new fi-compass publications have been released recently featuring case study information about loans, guarantees and equity investments supported by the European Structural and Investment Funds (ESIF). These include experiences from Member States and regions that are moving forward with financial instruments for the 2014-2020 programming period, as well as other case studies that document success stories launched during the previous 2007-2013 programming period. Our newly released case studies cover examples from the European Regional Development Fund (ERDF), the European Agricultural Fund for Rural Development (EAFRD), and the European Social Fund (ESF). Five ESF case studies include information explaining the processes involved with, and lessons learned from, Italian financial instruments supporting cooperatives in the Lombardy region and entrepreneurship in Marche region. Tackling unemployment was also a priority for an ESF instrument featured in a new case study from Poland. Links to other new ESF examples are provided for a Danish entrepreneurship fund and a German mezzanine capital initiative. Six new case studies focus on ERDF financial instruments from the past and present programming periods. They include a French case highlighting opportunities for combining ESIF with the European Fund for Strategic Investments (EFSI) in an investment platform promoting low carbon investments. Recent ex-ante assessment cases in Slovakia and Scotland are presented as well as 2007-2013 experiences with ERDF instruments from Belgium, Bulgaria and Spain. EAFRD examples showcase an Estonian loan scheme, which is Europe's first rural development financial instrument for the 2014-2020 programming period. Information is also included about an Irish 'Milkflex' instrument that is designed to ensure flexibility in farmers' repayment of their loans during times when price volatility for milk can lead to fluctuating incomes for dairy producers. While many of Europe's Rural Development Programme (RDP) managing authorities are already exploring what financial instruments can bring for their economies, others are still relatively new to the subject. 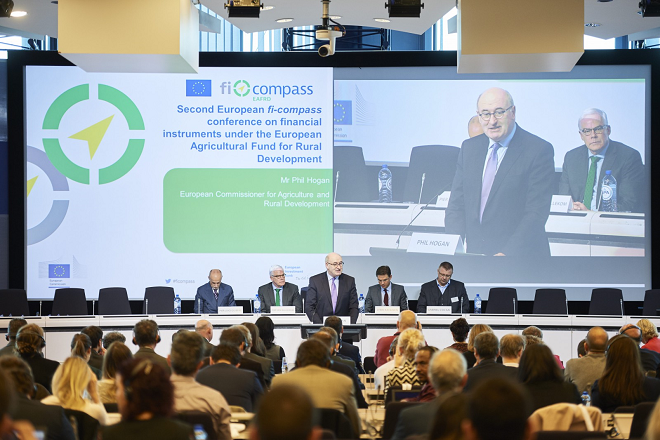 A new video from fi-compass has been produced to help these managing authorities move forward with using the European Agricultural Fund for Rural Development (EAFRD) for revolving financial instruments. The video is based around a story of a typical rural area with entrepreneurs like young farmers, tourism providers, and family farms, as well as a context that could often be common for EAFRD managing authorities. 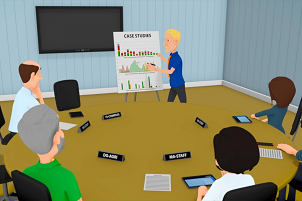 Titled 'Filling gaps in agricultural and rural finance' this new five minute animated film shows how EAFRD financial instruments can be useful for the rural economy. It explains the path that managing authorities who are unfamiliar with financial instruments could follow to set them up, including using help from fi-compass to start the process of designing a financial instrument. The European Commission has published the first summaries of data on financial instruments in the 2014-2020 period. They provide first insights into the progress in setting-up financial instruments under the European Structural and Investment Funds (ESIF) covering the years 2014 and 2015. Data in the summary provides positive and encouraging evidence on the progress in setting-up and operating financial instruments. They highlight that, despite the early stage of programme implementation, managing authorities across no less than 21 Member States can already report progress on financial instruments as of end of 2015. In the 2014-2020 programming period, the European Structural and Investment Funds (ESIF) are supporting 11 thematic objectives and financial instruments can be used in all of them. fi-compass provides a range of learning resources for managing authorities and other stakeholders involved in financial instruments implementation that are targeted at specific thematic objectives. 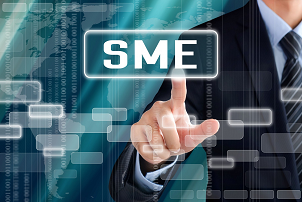 'Thematic objective 3' (TO3) promotes the competitiveness of small and medium-sized enterprises (SMEs) and it remains the most popular area for the use of financial instruments. A number of specific fi-compass resources are designed for financial instruments that focus on ESIF ‘Thematic Objective 4’ (TO4), supporting the shift towards a low carbon economy in all sectors. Our TO4 learning resources include a dedicated ex-ante assessment handbook and case studies related to financial instruments that invest in low carbon activities. 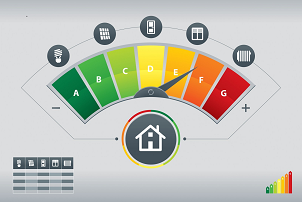 The fi-compass events have also featured a workshop on 'Financial instruments for energy efficiency in the programming period 2014-2020', that was held in Vienna on 20 October 2016. This workshop brought together participants from 16 Member States to freely exchange their know-how, through networking and peer-to-peer learning based around two case studies. Eduard Koitmaa from the Fisheries Economics Department at Estonia's Ministry of Rural Affairs was interviewed by fi-compass to gain his insight into what's involved with setting up a financial instrument supported by the European Maritime and Fisheries Fund (EMFF). Recalling the background to this process Mr Koitmaa starts by noting that: "The decision to use a financial instrument was based on the ex-ante assessment, which found evidence of market failure and sub-optimal investment situations. This helped us proceed with introducing an instrument that will use the European Maritime and Fisheries Fund to fill gaps in access to finance for sustainable investments in Estonia's fisheries and aquaculture sectors." fi-compass organised a special advisory seminar for European Social Fund (ESF) managing authorities in Italy on 1 December 2016, and this article provides an overview of participant perceptions about topics covered during the seminar. Outreach services from fi-compass include our experts participating at external events to present information about financial instruments that use the European Structural and Investment Funds (ESIF). Recent examples of these outreach services include fi-compass contributions during the Committee of the Regions' European Week of Regions and Cities and Mass Open Online Course (MOOC) about the EU budget and funding for regions and cities. Everyone from the fi-compass team would like to wish all of our 3900 subscribers to the Beacon newsletter a very enjoyable festive season and a successful New Year. We are planning for a productive 2017 which will build on our results to date. 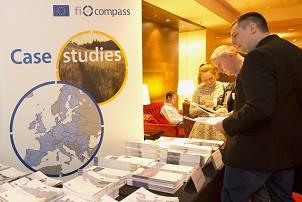 These have already led to 5500 participants registering for more than 40 fi-compass events from all around the EU, as well as nearly 440 000 page views on our website and over 58 000 downloads of advisory information from fi-compass about Member States' advances with financial instruments.